Hello! 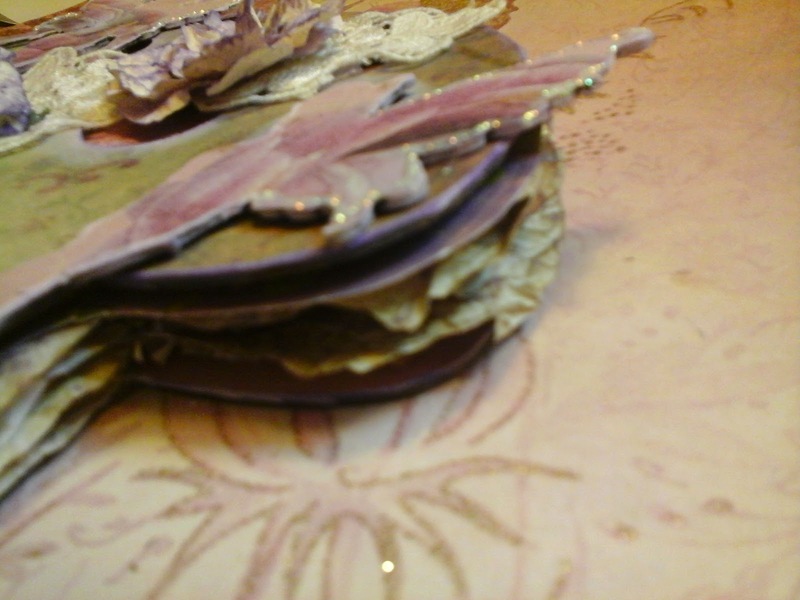 Peggy here to show you how I made this fantasy fairy mushroom mini album. 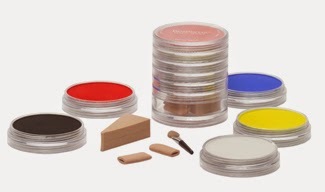 This month we at Sin City Stamps are partnering with Pan Pastels and I have to say I absolutely love how smooth they are and their ability to blend. 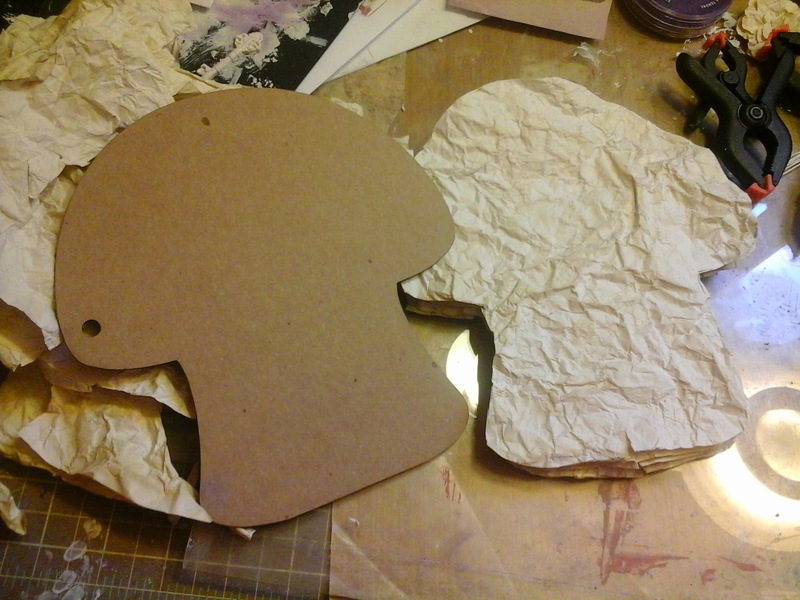 around the edges blends the cardstock into the chipboard almost seamlessly. 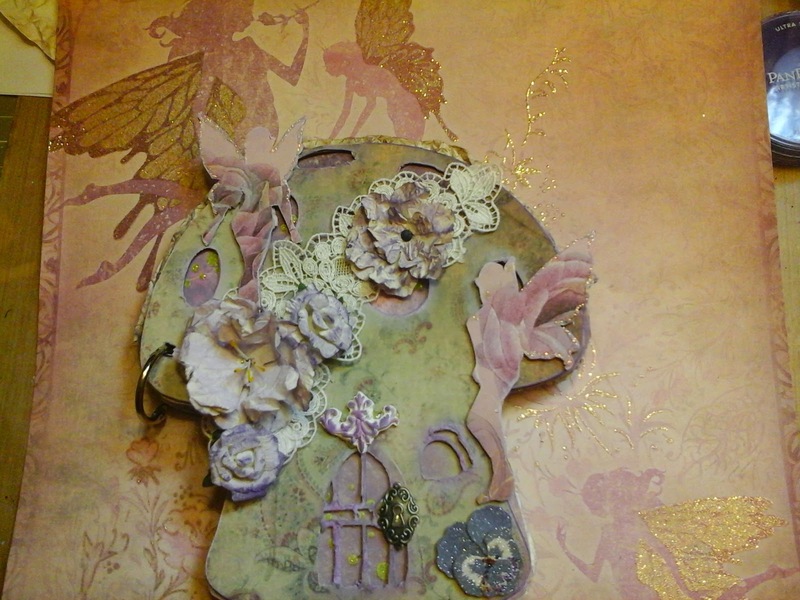 I used pan pastels in two shades of purple for shading around windows, the door, mushroom holes and fairies. Here you can see the thickness of the mini album and the dimension brought in by crinkling the pages. I added my hand made flowers and a couple from Michaels. 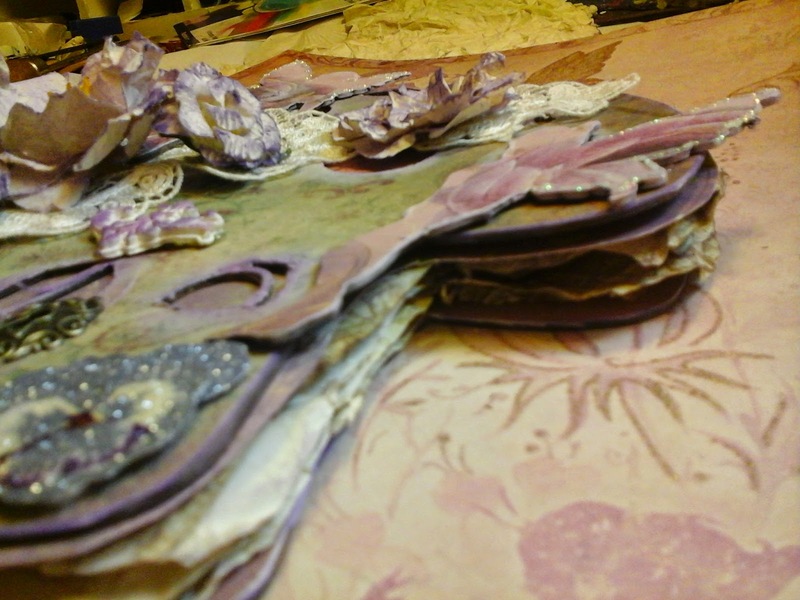 I colored and shaded all flowers with pan pastels. 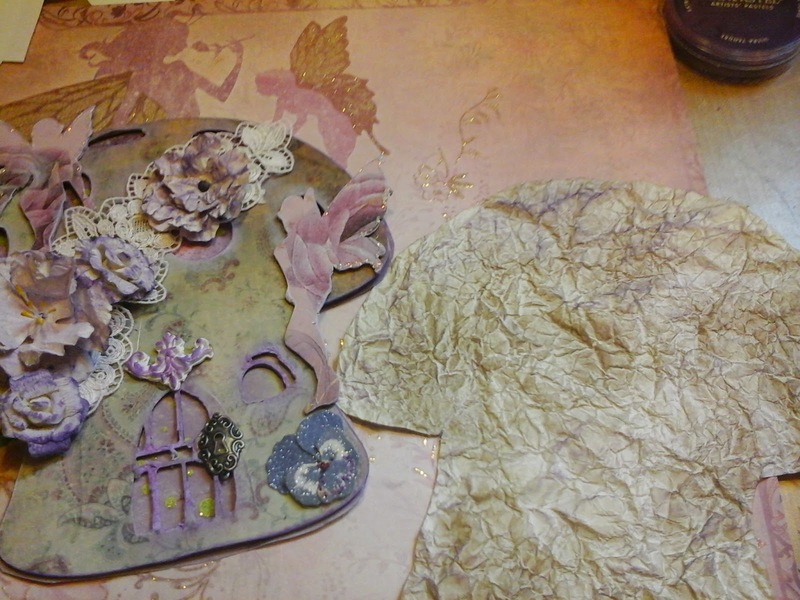 I layered all embellishments on a lace applique. 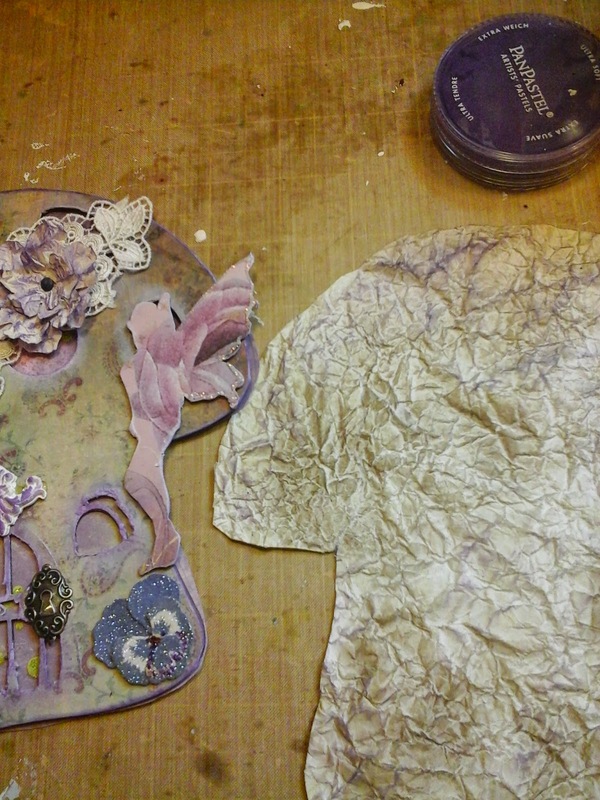 My see through holes are exposing the patterned cardstock from DCWV. 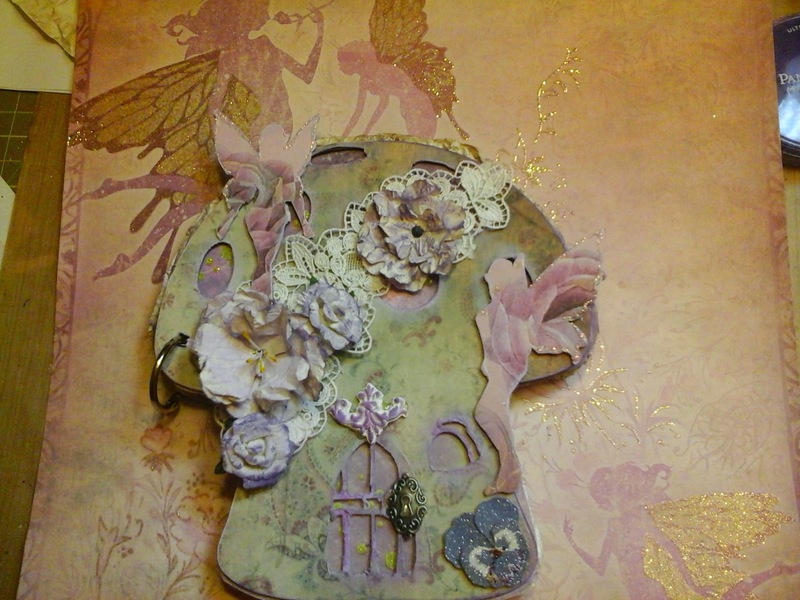 This is my finished fairy mini album. 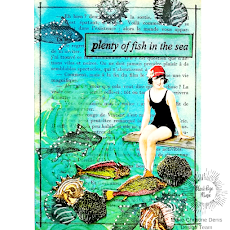 I hope you enjoyed my tutorial and I encourge you take a look at Sin City Stamps for your stamping, chipboard and stenciling needs. So cute! Love all the textures and soft colors! I love this book! 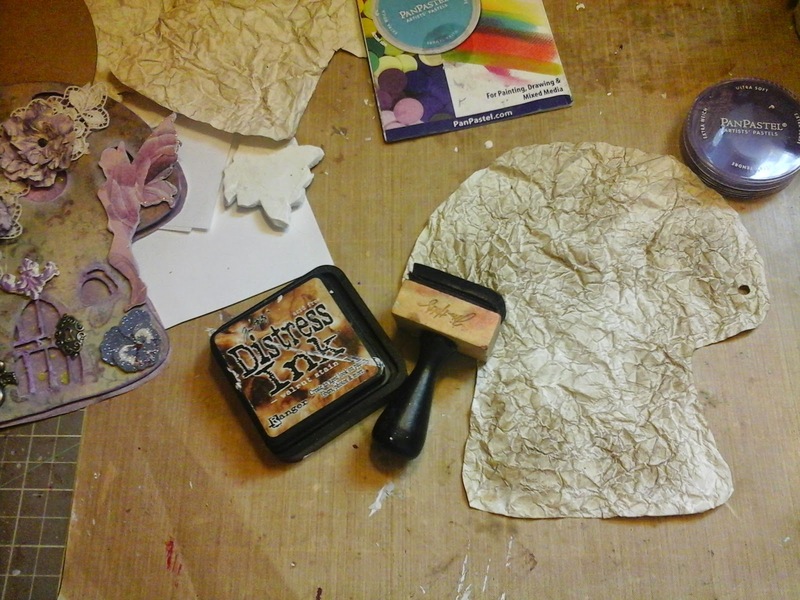 Its may layers and textures are awesome! !